My hair is bleached so getting a hairbrush through it is a F-in nightmare! My life was saved when I discovered the original Tangle Teezer many years ago, it was revolutionary and my detangling routine went from an hour to 2 minutes. I physically cannot get anything through my hair as it’s so knotty, weak and brittle. Despite being completely happy with my Tangle Teezer, my hair has got blonder and longer over the years so I have noticed a lot more breakage. 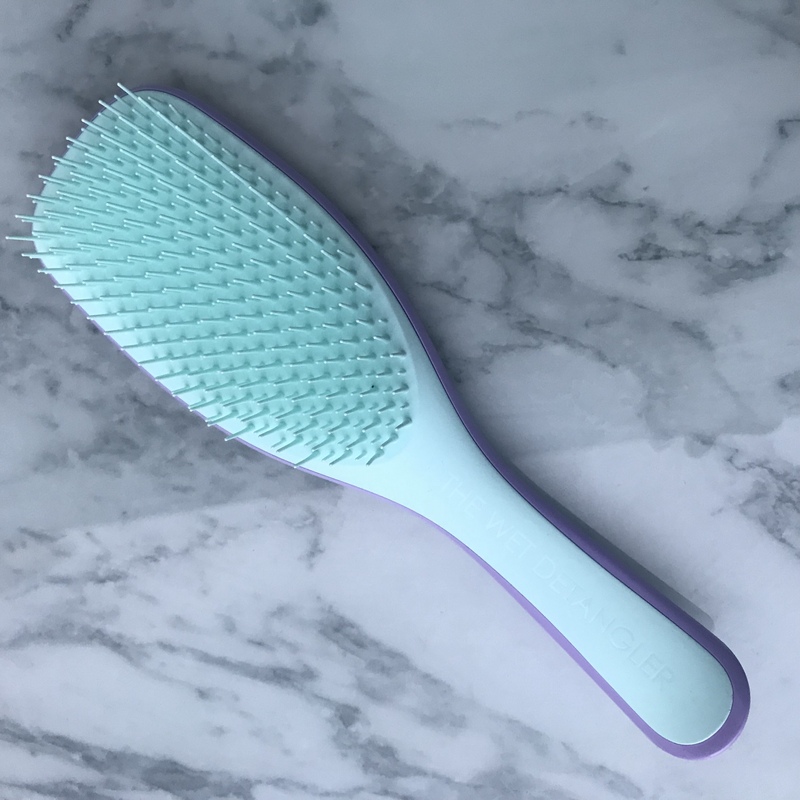 A few weeks ago, I discovered the new Wet Detangler from Tangle Teezer, and OMG it’s great and I cannot believe, it is even better than the original. The Wet Detangler understands how to treat wet and fragile hair with expertise so when you comb it through the hair there is less breakage. It has 325 unique teeth that flex over tangles and knots with every single stroke and it has a handle. Its super fast and there are less hairs in my brush after use. I don’t really need to say much more. The original was life-saving and this one is EVEN BETTER!